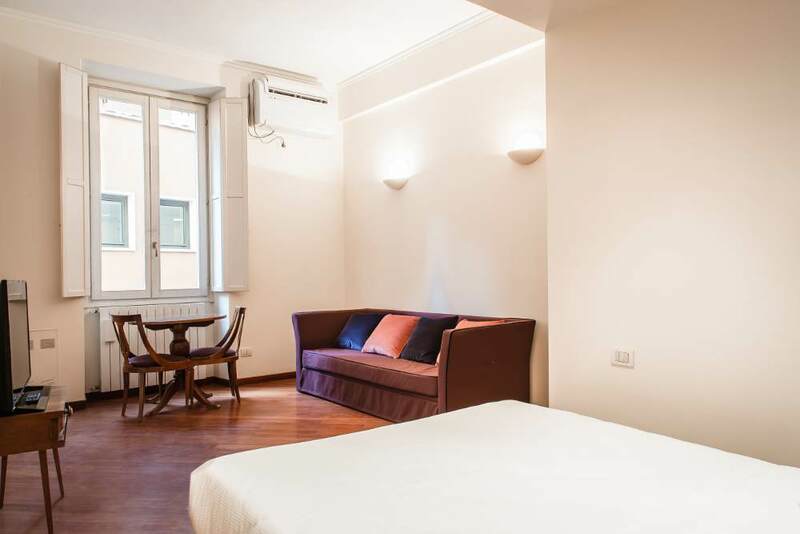 Portfolio Categories: Brera and Studio - up to 3 people. 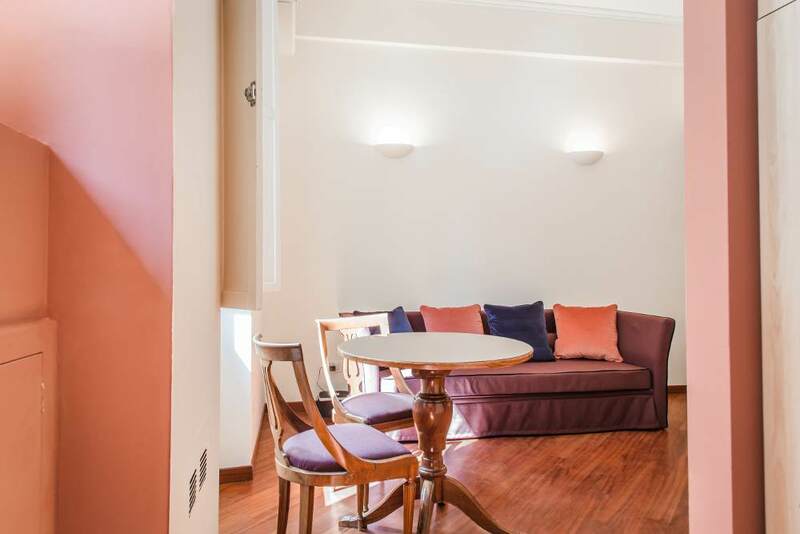 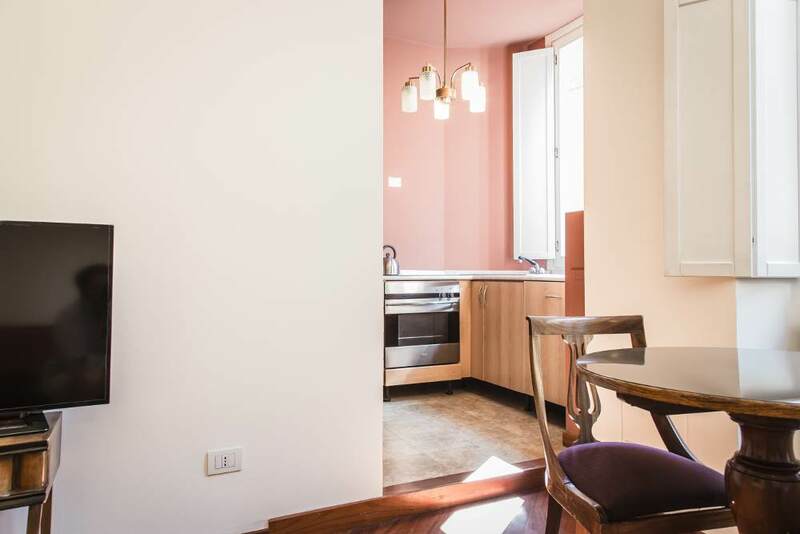 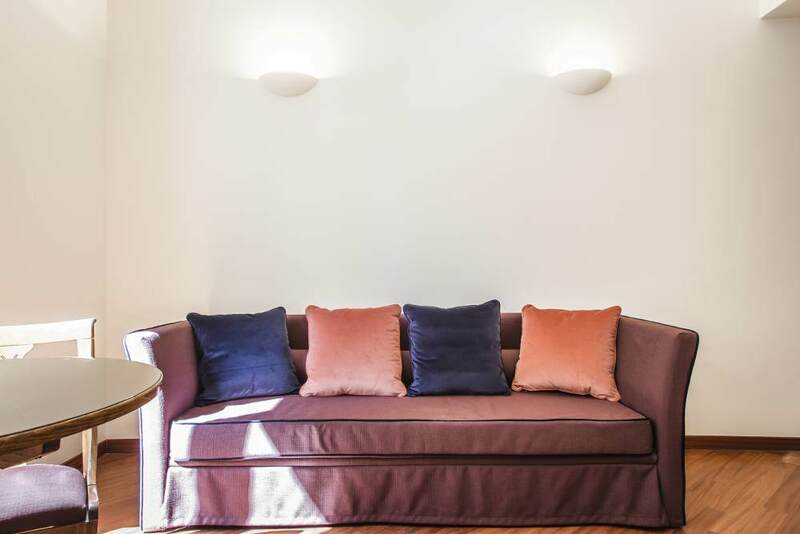 This apartment is located in an elegant historic building, preserved in its typical Milanese style. 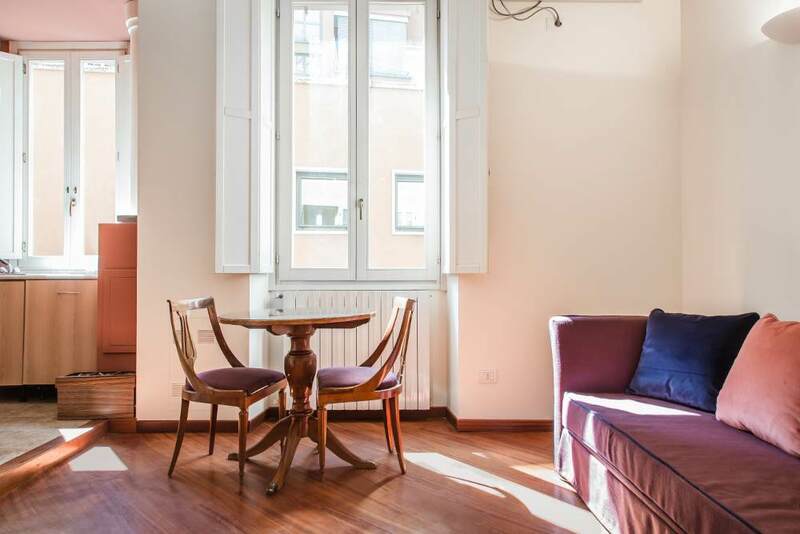 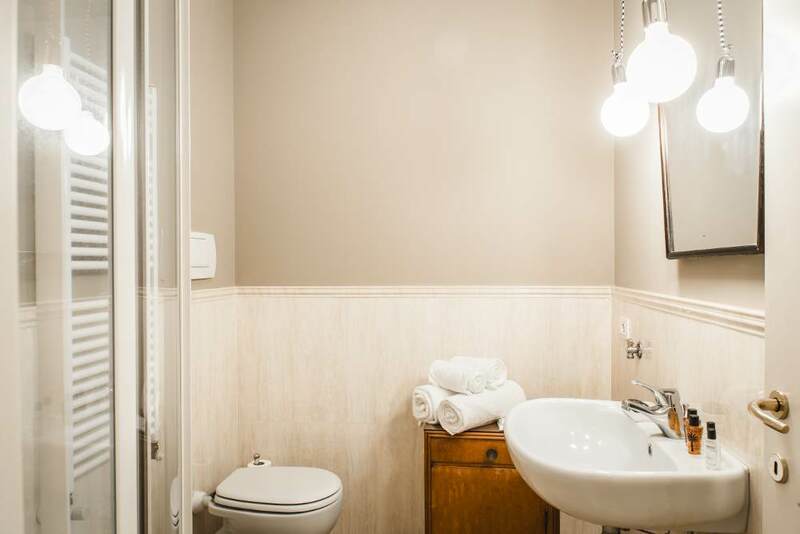 It is decorated with vintage furniture and consists of one bedroom, a living room with open fully-equipped kitchen, one bathroom with shower, and hardwood parquet floors. 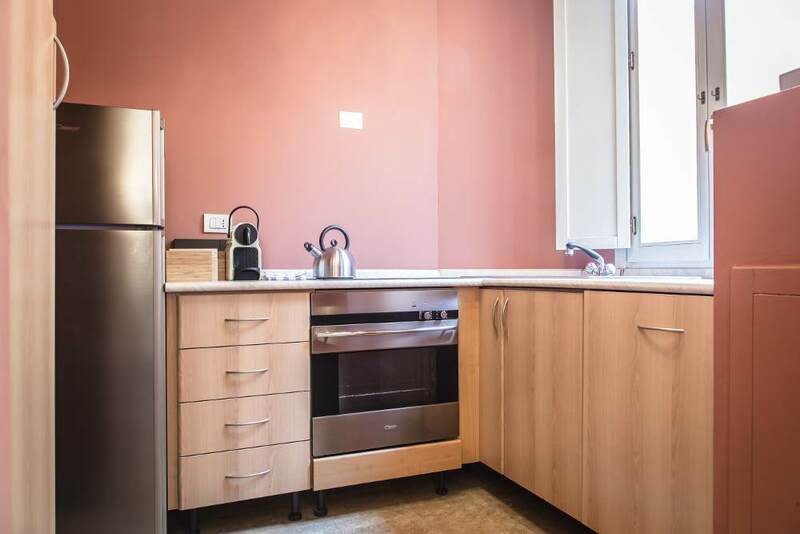 Apartment size: 30 m² | Sleeps: 3 adults | Bedrooms: One 160-cm. 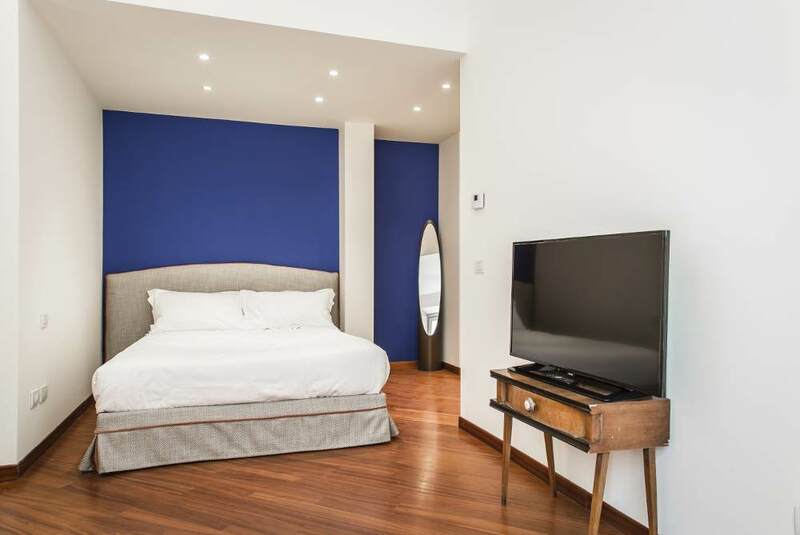 wide queen size bed (bedroom) and 1 single sofa bed | Kitchen Open kitchen with electric stove.